Are you looking at your sales figures this time of year and wondering where everyone went? It’s no secret the middle of the summer can be a slow, syrupy season for sales revenue. That’s what makes it a great time for rejuvenating your email marketing campaign, giving a shout-out to existing customers who seldom if ever respond, click or buy. The good news is that reactivation campaigns offer great value when it comes to ROI, producing a median return of $28.50 for every dollar spent compared to a mean customer-acquisition cost of $55.24. 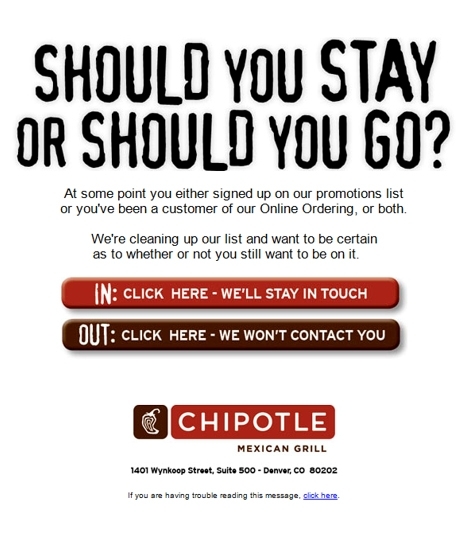 After all, Internet users trust opt-in email messaging above all other forms of advertising, reports a recent study. 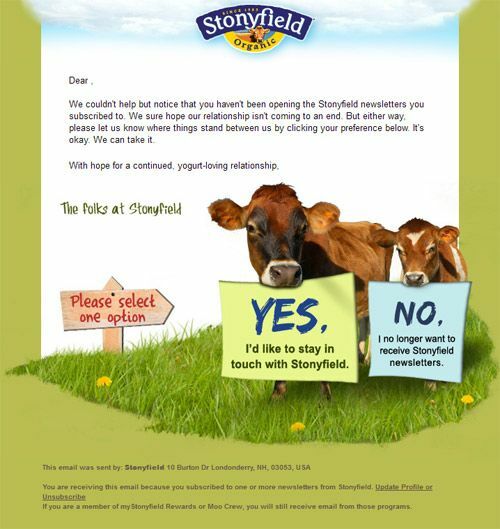 “Consumers don’t just trust email, they look to it for purchasing decisions,” the study notes. “Both B2B and B2C marketers have much to gain by breaking through inbox clutter, but this could prove a more difficult task for B2B marketers in the years ahead.” Prognosticators point to a burgeoning 143.8 billion business emails to be sent this year, compared to 89 billion in 2012. Creating a compelling reactivation campaign that prompts a response from customers may be challenging, but it’s a low-cost tactic that could fire up your sales this time of year if you follow these steps. If you haven’t already divided your customers by type, that can be accomplished relatively easily. Check out our complete guide to list segmentation. A global study earlier this year found segmented email campaigns produce 14 percent higher open rates, 64 percent higher click rates, and 8 percent fewer unsubscribes than unsegmented plans. For your reactivation campaign, your goal is to reach each online audience member with a message targeted (at least partially) toward his interests, values and preferred communication styles, increasing the likelihood he’ll open and respond to the email. While the potential categories are endless, popular segmentation methods include dividing customers by the kinds of products they’ve purchased or perused, by previous emails they’ve opened, by demographics or by their stage in the sales funnel (awareness, evaluation or purchase). As such, many marketers create fictional personas for their common customer types, establishing a general marketing message for each along with an “elevator pitch” or selling style that might apply. Depending on your goals, today’s analytical tools can drill down to detailed info like customer occupations, salaries, pain points, hobbies, family, education, values, goals, objections, preferred devices, computer literacy, news sources, hours of availability, and ideal shopping conditions, while simultaneously weeding out customers unlikely to buy your product. You might also consider identifying (and creating special offers for) your “gold standard” audience that in the past has bought high-margin products without being high maintenance. Re-engage customers on a set schedule, perhaps 30, 60, or 90 days after they’ve been unresponsive. Most reactivation emails contain some statement of regret that makes the customer feel valued. A Google search shows a range of copy with headlines like “We’ve missed you,” “Let’s stay together,” “It’s been a while,” and “Good friends are never forgotten.” Depending on your audience you can be highly creative with wording and imagery or stick to the basics. Reference your past interactions with the customer so they feel recognized. Consider the customer’s individual needs, problems, and interests. What might he care about that others don’t, and how can you appeal to that? A discount, special offer, free product, or free download or upgrade can be especially effective in achieving reengagement. In one study, the most effective offer involved free shipping. Think about where your customer is in the sales funnel. Those relatively unaware of your product might value a free white paper, kit, e-book, tip sheet, checklist, webinar, or how-to video. Those still evaluating may react well to a webinar, case study, product sample, data sheet, FAQ sheet, or demo video. Those close to buying may respond best to a free trial, live demo, consultation, estimate, or coupon. Consider the recipients’ level of expertise; should your wording be basic or highly technical? How industry-specific should you be? Should language be formal and professional or casual? Are you using appropriate jargon? The title of your email greatly impacts whether it will be opened; one study found 33 percent of email recipients open email based on subject line alone. In general, subject lines should contain only six to eight words; differ from past versions; mention the recipient’s name; lead with the most important words; clearly state your purpose and value; and point to any deadlines. Recent research also found subject lines containing “free” are opened 10 percent more often, while “sale,” “new,” or “video” can also boost rates. Another study reports 13 of its top-25 subject lines in reactivation campaigns have contained the phrase “We miss you.” Tickling your recipients funny bone can also lead to an open. Here are some important tips when using humor. Last year the average adult mobile phone user in the U.S. spent 2.8 hours per day on their devices, with mobile phone use growing 58 percent worldwide between 2014 and 2015. Users worldwide are expected to reach nearly 2.1 billion this year. Need we say more? 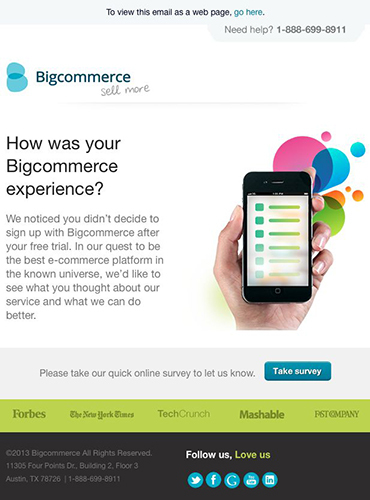 It’s apparent you must format your email marketing to play well on mobile. One study reports 40 percent of emails are opened first on mobile. 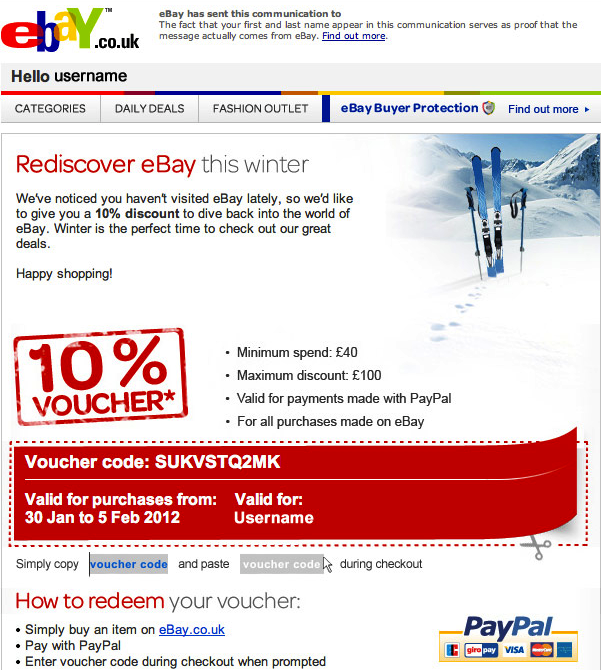 If you can get customers to click on your reactivation email, you may wish to include a highly visible “opt-in” button to confirm they still wish to receive your messages. That may seem counterintuitive, but there’s no point in continuing to pitch the uninterested, and being vigilant as such prevents accusations of spamming. A few ways other companies have done that can be found below. Strengthen relationships with those who respond to reactivation with a follow-up email that says something like “Welcome back” or similar messaging that reaffirms their value. Don’t be surprised if a customer doesn’t respond to your first reactivation email; your campaign may well necessitate a series of short, engaging messages over time, perhaps culminating with your most attractive offer. If that doesn’t work, consider sending a message by post in case there’s an issue with the customer’s email or online access. The added expense may be worth your while, considering that retaining existing customers produces a much higher ROI than finding new ones. Finally, keep in mind that your email campaign should always be a work in progress. To cut through the clutter of the gazillions of business emails out there, you’ll probably need to continually tweak your content and methodology to find fresh ways to reach target audiences. VerticalResponse gives you the tools to build powerful campaigns in minutes, leaving you more time to spend with customers. © 2016 – 2018, Contributing Author. All rights reserved. Dear Google, where’s my website? Get listed with Google in a snap.